How to Answer in 2019: What Are Your Strengths? 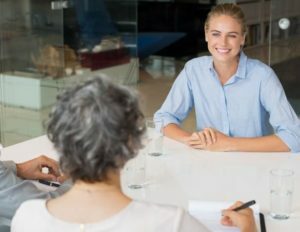 Skilled HR managers and interviewers can recognize your strengths and weaknesses, from the way you talk, look, shake hands, and answer any question they ask you in an interview. But they may still ask you about your strengths, to see whether you are humble, confident, or over-confident, and whether you can actually tell your strengths (which is important, becasue without knowing our strengths, we would struggle to choose the right career). Look at the job description. Try to identify three or four abilities that are crucial for the job. For customer service (example) it would be communication skills, sales skills, and understanding for the customer. For process engineer it would be attention to details, responsibility, creativity, and knowledge of their field of engineering. Compare the strengths with your own personality. And if you can not compare it, or if you feel like having all the strengths (or none of them) ask a friend, or someone else, who is honest with you, to help you with identifying your real strengths and weaknesses. If you mention punctuality, you should come on time. If your strength is attention to detail, you should present it in all your interview answers – speaking about details of your personality, experience, past jobs, details that matter to the employer. If you mention communication skills, you should demonstrate them in an interview, talking to the point, listening well, having understanding for the things they say to you, etc. Talking about a strength and convincing us that you really have it are two different things. If you are not sure how to convince us, I suggest you to stay humble, and say that you still have to work on many things in your career. 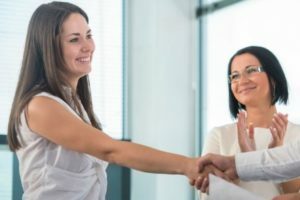 You can decide to let us to recognize your strengths, in the course of an interview with you (humility can actually be one of these strengths, and honesty definitely is a strength, regardless of the job you try to get). If you find my guide hard to follow, or perhaps just need some inspiration before you compose your own answer, have a look at the samples below. Each sample answer is intended for certain position and situation in an interview. Try to find the one that relates the most to your present situation, and use it as a foundation stone for creating your own answer. My biggest strength is probably my passion for work, and my motivation to learn and grow professionally. Everything is new for me right now, I feel excited, ready to learn and do my best. If we talk about my character, I’d point out a strong sense for responsibility and an ability to teamwork. I hope I can utilize my strengths in your company, on a position of a marketing trainee. I consider my communication skills, and understanding for other people, my greatest strengths. I read a lot of books on human psychology and on customer behavior, trying to learn how to connect with all kinds of prospects, and how to turn them to customers. My friends would say that I am intelligent and a good companion for any conversation, but I prefer to let other people to consider this. One way or another, I know that there is still a room to improve, and I continue studying and practicing, trying to become even a better saleswoman. I can work independently, I am physically strong, and I do not mind working outside for a long time. I also believe that I understand what you try to achieve on this farm, how you try to promote sustainable agriculture, which resonates with my personal values. Nevertheless, I know I have a lot of things to learn, I am motivated, and I see my future in agriculture. My experience is my greatest strength. I have been working as a teacher for the past thirty years, teaching at four different schools, two different school districts. I worked with all kinds of students and education administrators, and I believe that I have gained a great understanding for the ins and outs of a daily life at school. I would also say that I am responsible, easy to talk to and cooperate with, and open minded. I hope to get a chance to prove my strengths and skills, working at this elementary school. I can work independently, and I can complete a project from scratch – something I’ve learned in my freelancing experience. I can also look at the work from the point of view of my clients, trying to understand what they want to achieve with their work, and keeping these goals on my mind while developing the software. I always try to develop for the final user. Judging by references my customers left on my profile at Freelancer, excellent communication and delivering work on time are my other strengths. I hope to keep them in the next stage of my career. My biggest strength is probably my knowledge of the target group. I have a brother with down syndrome, so I understand exactly how to work with these people, how to help them integrate, get a job, and I also feel for them. Regarding my character strengths, I’d prefer to leave it for you to judge. I do not like to boast about my skills or abilities. After talking to me in this interview, you will surely easily evaluate my communication skills, and other things that matter for this job. Communication skills are definitely my greatest strength. I can speak four languages, and I have also a good understanding for the people I talk to, I can read their emotions and sometimes even their wishes, from the way they talk, look, and gesticulate. I also believe to be responsible, loyal, and friendly. Of course we should never be satisfied with ourselves, and we learn all life long. I try to reflect on my work regularly, looking for areas of improvement. I would say that my leadership skills stand out. I can connect with other people, I can gain their trust, and that makes it much easier for me to manage them, and to lead them towards the goals we want to achieve in the company. I have also a good knowledge of human psychology and theoretical management, and can transfer this knowledge to practical work. What is more, I have a good understanding of this industry, and believe that it will help me to do this job well. Each of us has some strengths, regardless of what your parents, friends, teachers, or enemies think… You are good in something, and you should have confidence in yourself, in your ability to help the company to prosper. What are your weaknesses? 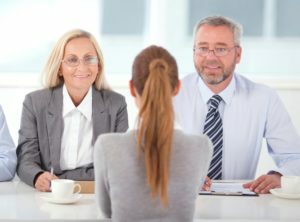 – To talk about our strengths is much easier than talking about our weaknesses, especially in an interview, when we try to sell our skills to the employer. Learn how to pick a good weakness for your interview answer, and how to present it in an interview. 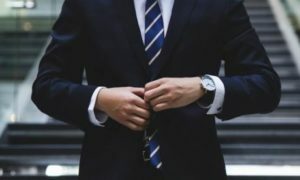 How to dress for your interview – Every detail matters. Learn how to choose the right clothes for your interview, and make a good impression.